We're proud to support causes around the Fleet area, through donations of vouchers, promoting local events and raising money as a company. We are proud to support local charity, Piggles Trust, and raise money to help this incredible cause with its aim to provide pre-school education to poorly children and their siblings, within a hospital environment. Education is currently provided within hospitals but only on a very rare basis. No provision is made for pre-school children, who may be fighting illness or disease, despite this being such a crucial learning stage. Outside of the hospital environment, it forms an integral part of their development as well as a means for them to form friendships and most importantly, being a child. Piggles recognises that whilst addressing the medical needs of unwell children, it is no less important to consider the overall emotional, developmental and mental well-being of that young child. As a pub company comprised of parents, grandparents, sons and daughters, we 100% support the aims and work Piggles Trust is working towards implementing into UK hospitals, and we want to encourage our customers and the local community to join us in supporting this fantastic cause. 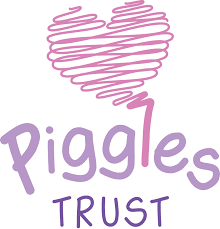 Since our support of Piggles Trust started in January 2018, we have pledged to donate 50p of every kid’s meal sold to Piggles Trust at all of Red Mist Leisure’s Hampshire pubs; so not only will your little ones be enjoying a tasty bite to eat, but they’ll also be doing their bit for this wonderful charity as well! Based next door to our sister pub The Duke of Cambridge, Tilford brewery exclusively supply us with our own charity ale, from which we donate 20p of every pint sold here at The Exchequer, to the Piggle Trust, so you can enjoy your pint knowing you’re helping a fantastic cause at the same time. Every year Red Mist Leisure take on a major physical challenge to raise money for a selection of charities, and in 2018, this included Piggles Trust. In July of last year, a 20-strong team of staff and suppliers took on all 86 miles of Hadrian’s Wall over 3 days, raising £7,450 for each of the 3 charities they were supporting.